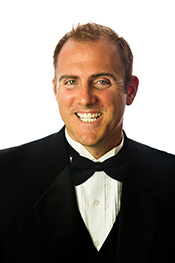 Eric Wilkinson is the director of the Wando High School Choir program in Charleston, South Carolina. Wilkinson’s choirs have consistently earned superior ratings at state and national choral festivals and have performed in Carnegie Hall, St. Peter’s Basilica and the Washington National Cathedral. His pursuit of excellence in teaching and conducting has taken him to London, Vienna, Varna, New York City, and Medomak, Maine. Wilkinson has served on the SCMEA All-State committee for ten years and chaired the audition process for four years. Wilkinson’s choirs have been invited to perform for SCMEA and ACDA conventions. He is a National Board Certified Teacher and was awarded the prestigious Milken Family Foundation National Educator Award in 2007. He has also received the SCMEA Outstanding Young Music Educator Award and been named Teacher of the Year. Wilkinson earned his BA from the University of New Hampshire and MM from the University of South Carolina. He and his wife, Emily Wilkinson live in Mount Pleasant, South Carolina with their daughter Mary Catherine.